Ajay Devgan’s Shivaay Film 7th Day Collection Report: Ajay Devgan’s Shivaay is getting good response at the box office as compared to other released movies and it has made a decent amount n 7 days. The movie hit the theatres on October 28, 2016 and got huge buzz and opened with a great box office collection. It is made with the total budget of Rs. 105 crores and till date it has collected more than 50 crore. The film already crossed the 50 crore mark at the domestic box office and will enter the 100 crore club very soon. The movie has collected total Rs 7.40 crore at the box office on wednesday and today on thursday it has minted total 5.5 crore. The movie has earned total Rs 64.36 crore in 6 days. Ajay Devgan is doing the main lead role in the movie along with Sayyeshaa Saigal and Erika Kaar in female lead roles. It is directed and produced by Ajay Devgan under his banner Ajay Devgn FFilms. 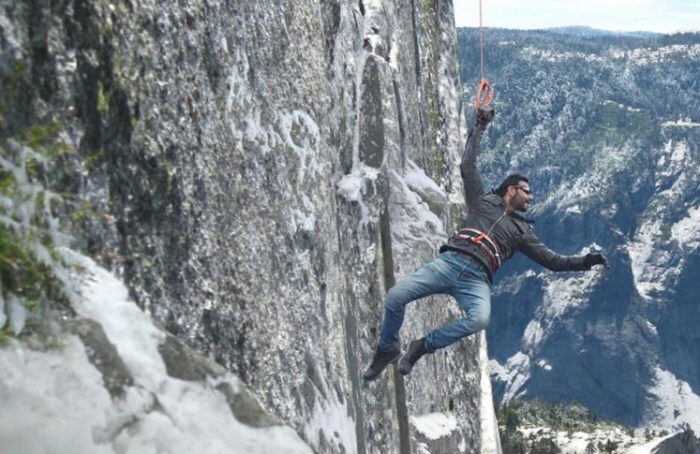 “#Shivaay Fri 10.24 cr, Sat 10.06 cr, Sun 8.26 cr, Mon 17.35 cr, Tue 11.05 cr [part holiday]. Total: ₹ 56.96 cr. India biz. ROCK-STEADY!” tweeted by the trade analyst Taran Adarsh. On the other hand Shivaay film is getting a very stiff competition from Ae Dil Hai Mushkil movie. Ae Dil Hai Mushkil movie is also getting good box office and as per report it is ahead of Shivaay at the box office. Both the movies was released on the same date but the occupancy was not the same. Ae Dil Hai Mushkil attracting more audience than Shivaay. I hope you liked the box office business report soon i will share more report.